A continuous thumping inside your head? A migraine is a disorder characterized by the continuous onset of severe headaches. A migraine headache causes throbbing or pulsating pain, usually on one side of the head. Chronic migraines occur 15 or more days a month, lasting between 4 – 6 hours, usually for 3 consecutive months or more. That’s at least half a month living with the constant headache! Approximately 3.2 million people living in the United States today suffer from chronic headaches, most of which are women. The pain of a migraine is graded as moderate to severe, depending on the intensity. One-third of patients with migraines experiences an aura, or a specific neurological symptom efore their headache begins. An aura is a visual disturbance or a temporary blind spot which obscures the visual field. If you are suffering from eye pain, blurred vision or loss of vision during a migraine, you should seek medical help. Many times there is no obvious cause of a migraine, but for some people they are caused by triggers. Many factors can be identified as triggers for migraines. Fluctuating hormone levels during a woman’s menstrual cycle can cause migraine headaches. Oral contraceptives are also known to trigger migraines. Identifying triggers is an integral part of migraine management. 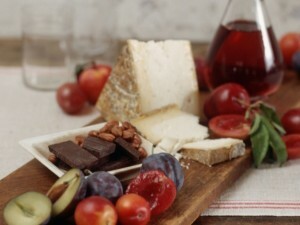 Various types of food and beverages can also trigger migraines. If you are uncertain about your triggers, maintain a headache diary to work out patterns and any regular causes of your migraines. Write down all activities that happened before or during the migraine. What were you eating? What were you doing? Did you get enough sleep the night before? Anything stressful or important? This will be extremely beneficial as you will identify the individual factors leading to your headaches. Why not try a natural approach towards treating your headaches? Natural treatment has been known to not only be very effective, but it boasts little to no side effects. Exercise is recommended for migraine sufferers. 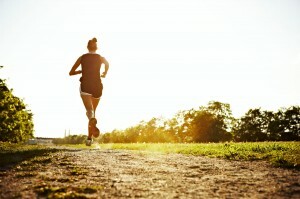 New evidence supports the theory that physical activity helps to prevent migraines. In a 2011 randomized, controlled study from the University of Gothenburg in Sweden, researchers found that aerobic exercise as effective as migraine medication. Exercise helps to reduce tension and ward off stress. Please read Alternative Treatments For Chronic Headaches for more information on alternative treatment options. Riboflavin is found in certain foods and supplements. It helps protect cells and is involved in energy production. In a trial measuring riboflavin’s effectiveness in preventing migraines, 59% of patients who took 400 mg daily for three months experienced a 50 % or greater reduction in migraine occurrence. Because our bodies can’t produce magnesium, we must rely on dietary or supplement sources. Magnesium deficiency has been directly linked to migraines in a number of major studies. Magnesium helps relax nerves and muscles and transmits nerve impulses throughout the body and brain. Experts are split on how much magnesium to take for migraine prevention, some recommend 200 to 600 mg per day, while others recommend as much as 1,000 mg daily. Lavender oil not only smells great but can be used to treat migraine pain. You can inhale it or apply it topically. 2 – 4 drops for every 2 – 3 cups of boiling water. Inhale the vapors to sooth and treat your headache. 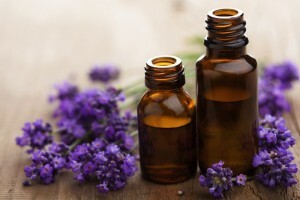 Lavender oil should not be taken orally. Headaches and migraine pain are often due to poor blood flow. The fresh smell of peppermint oil helps to open and close vessels which promote blood flow in the body. Peppermint oil will also open up the sinuses so that more oxygen can travel into the bloodstream. A great topping for pizza and pasta, it is a natural treatment for headaches too. The oil gained from the basil plant acts as a muscle relaxant. Buckwheat can be used to treat headaches. Buckwheat contains Flavonoid, also known as Rutin. Flavonoids are found in plants, and have been shown to contain antioxidant properties. They counteract damaged cells and reduce inflammation, thus reducing and soothing your headache or migraine. Flaxseed can be used as oil or in seed form. Some headaches are caused by a inflammation build up, which can be reduced by consuming omega-3 fatty acids. By following the above home remedies and tips, you won’t have to deal with mind splitting migraines again.